The seventh congress of TICCIH España was held 5-8 July in Coruña, Spain. Below is the introduction to the Congress report by Massimo Preite of the University of Florence, TICCIH Board member. The seventh Congress of TICCIH España was an exceptional opportunity to deepen exploration of some of the key issues of the international debate on industrial heritage. From contributions of the experts invited to participate, new research lines will surely emerge that will further develop the work of the next TICCIH Congress that will take place in 2018 in Santiago de Chile. The four thematic areas of the TICCIH España Conference—Environmental Impact, Landscape Reclamation, Territorial Regeneration and Industrial Tourism—are the areas of research where industrial heritage enhancement policies have recorded the highest degree of innovation. Principles of intervention and methodological criteria have been subject to profound practical and theoretical review. 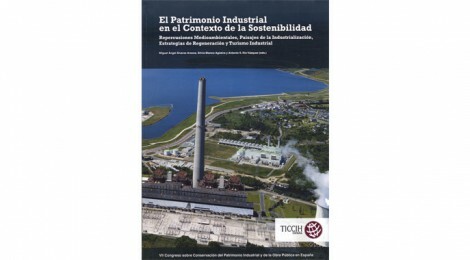 The valorisation of industrial heritage has seen in recent years its utmost consecration with the inclusion of an increasing number of industrial sites on the World Heritage List; TICCIH has been particularly committed to this task through enhanced cooperation with ICOMOS and the elaboration of new documents such as the Dublin Principles Charter and the Memorandum of Understanding to give greater emphasis to its action in support of greater representation of the industrial heritage in the UNESCO List. At the seventh Congress of TICCIH España each of these issues was examined through the presentation of specific experiences that can highlight an original approach to solving these new problems.